is PCI express a display standard ? According to the inital IBM PC archtechture of machines , your hardware logic is divided in to two , the main board logics and add on card logic. The add on card logic was proposed instead of a single board design so that it can facilitate the customization , serviceability and upgradability. The initial slot architecture suggested by IBM was one of the worst designs for an add on card and called ISA architecture . The design as well as the physical dimensions were done in a poor manner and allows 8 bit data tranfer. As the industry moved to 16 bit , IBM brings a 16 bit ISA which is backward compatible with the 8 bit ISA and also carries all the bad design elements of 8 Bit ISA . The change to 32 bit slots became really complicated with so many competing standards trying to establish their own industry standards . MCA, EISA, VESA and so on .Finally the PCI architecture from Intel won the race . The PCI was there from as early as the time of 80486 processors and even though it was a nice 32 bit interface at the time of its invention , it could not support today’s need for faster data transfer rates expected by the modern day graphics cards . 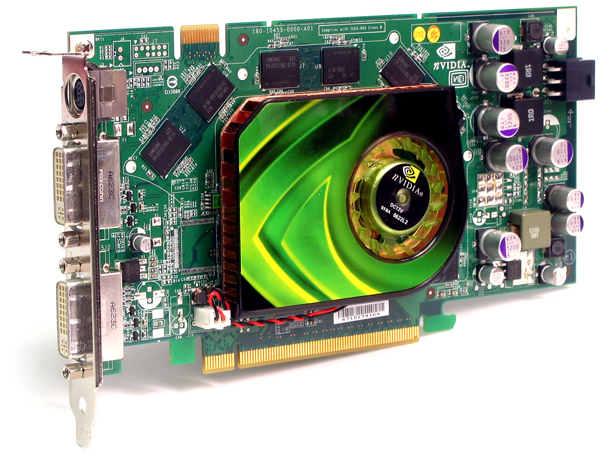 So AGP standard was introduced to cater the needs of the graphic card industry and it was the first dedicated slot architecture for display cards. All other add on card standards we have discussed so far were general purpose slots , ie they can support any kind of cards like display , sound , network and so on . PCI and AGP co- existed in your mother board such a long time , so when PCI express came in to market and replaced the AGP slot on your motherboard people begin to address the PCI Express as the replacement of the AGP standard . And on the initial time of its introduction only display cards needed such high throughput offered by the PCI -Express , so only display cards were available in PCI Express architecture . As the name implies , the PCI Express standard is a general purpose slot design and is there to replace the original 32 bit PCI standard. Now more and more cards are available on PCI Express standards like LAN and RAID controllers . Mostly on 1X and 4X standards of PCI express. Still most people associate the PCI express standards with display cards. Good discussion. But with PCIE, there are some limitations as well. The no of PCIE slots cant be just increased in a mobo as with PCI, because the mobo needs 1 free lane to accomodate a X1 slot, 4 lanes for a X4 slot, and so on, and the number of lanes depends on the mobo’s chipset and most budget ~ medium range chipsets has only 18~20 lanes. There are chipsets which has as much as 48~64 lanes, but will costs almost 8~10 times than that of budget motherboards. Some mobo manufacturers put more PCIE slots than the actual lanes available to reduce cost. A simple example is, there are some value Crossfire/SLI motherboards with two X16 slots along with one X4 and one or two X1. But when we run it on crossfire/SLI, both X16 slots will run at X8, bacause there isnt dedicated 2X16 lanes for each slot, only 16 lanes combined for both slots. This doesnt matter much, unless you are getting top of the line cards which needs more juice than X8 lanes can handle. There are further improvement to PCIE, more of a slight improvement like ver 2.0 and now ver. 3.0. Each version upgrade gives more bandwidth per each lane improving combined throughput. Also one big advantage with PCIE, is that any PCIE card can be used for slots having same or higher specs than the card’s. For eg, a X1 card can be used on X1, X4,X8 or X16 slots. X4 card can be used on X4, X8 and X16 slots and like that. It was shyamlal sir who taught me similar but opposite relation for older PCI 32 bit and 64 bit, where a 64 bit can be used on a 32bit slot, but not vice versa. Nice info sir.